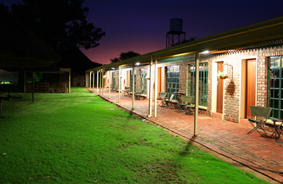 The Lodge has 9 beautiful self-catering riverside units, fully equipped with access to a swimming pool and walking distance to the lapa & bar area ideal for a cocktail on the deck overlooking the beautiful Vaal River. 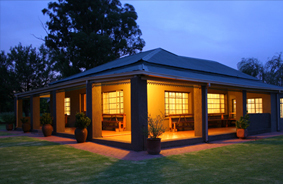 Just imagine sipping sundowners with a gorgeous sunset right on your doorstep! Owl's cottage can accommodate 30 people. 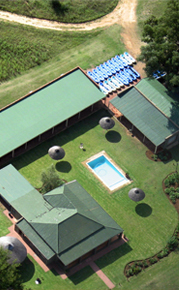 This cottage boasts it's own swimming pool and conference facility. The Owl's Cottage exist of 4 separate rooms, 2 bathrooms, 1 separate toilet, 1 kitchen with a stove and microwave and fully equipped with cutlery, plates and glasses, 1 living room and dining room, TV with DSTV satellite and a braai area.